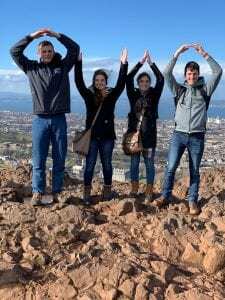 I travelled to multiple cities in Switzerland with The OSU College of Pharmacy over spring break. 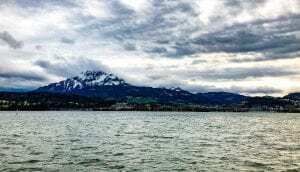 During our week abroad, we visited several cultural sites as well as educational sites, including the WHO, United Nations, Chateau de Chillon, and the University of Basel. Exploring a new environment with new people, surrounded by languages that I do not speak was a transformational experience in itself. But, just putting myself outside of my comfort zone like I did allowed me to gain confidence that I can navigate anything in life. I was able to navigate my way through the cities we visited and through the public transport. I made several lasting friendships with those people I did not know and I learned some common phrases in the languages I do not speak. In overcoming all of these obstacles, I gained the confidence I needed to be more outgoing and open to new experiences. These experiences also gave me the confidence to pursue my career goal of being a per diem neonatal RN and eventually nurse practitioner. As a per diem neonatal RN, I will need to navigate unfamiliar environments with new people and processes to be a good nurse and take care of my patients in critical times. Through facing somewhat similar challenges during my time abroad, I have the confidence now to know that I can achieve my goal. 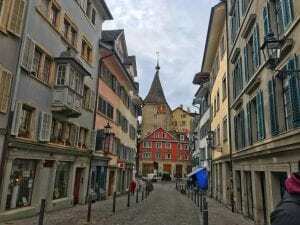 Throughout the visits to several beautiful cities in Switzerland, including Zurich, Basel, Geneva, Lucerne and Lausanne, I have gained a desire to travel as much as I can. The site visit to the United Nations was a very unique experience and I love that I can now say I have been to the UN and was present during a real Human Rights Council meeting. 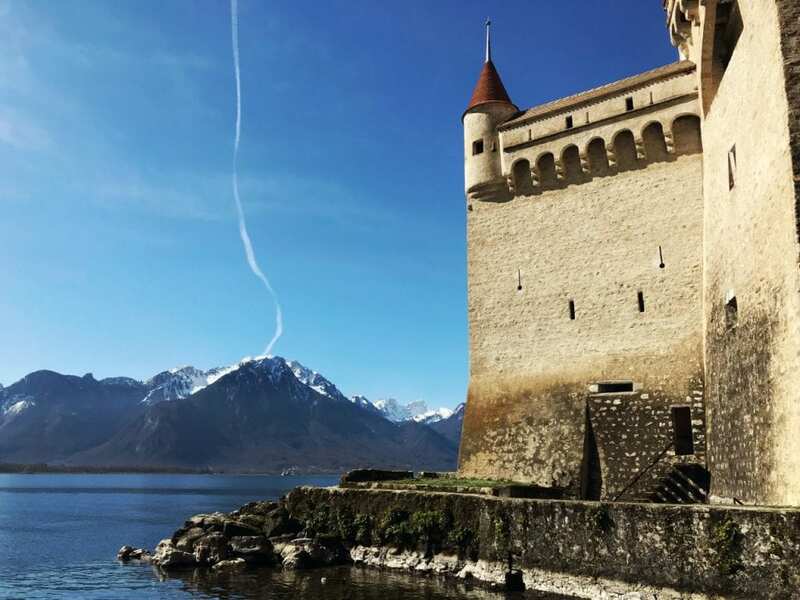 Along with my favorite site visit, to the Chateau de Chillon, I have gained a perspective of what all there is to see in the world. The Chateau was so breathtakingly beautiful and pictures truly did it no justice. It is through this privilege of travelling abroad that I have realized how possible it is and how amazing it is to travel and see things through my own eyes instead of through a lens. This growth is so important to my personal, academic and career goals and has altered them in the week I was abroad. Personally, I have gained the confidence I needed to become a more outgoing person and developed friendships that will continue to grow. Academically, the friends I have gained will be and already are great study buddies and have already helped me in the classes we share by promoting thoughtful discussion and just someone to lean on after a hard exam. I think most importantly, this experience has made my career goals higher and given me the confidence to know that I can and will do per diem neonatal nursing. I can and will pursue my dream of travelling throughout the US to help to tiniest patients and their families in whatever ways I can. I now know that I can adapt and overcome any obstacles thrown my way. I think that the most important part of myself that I discovered is that I can and always will overcome those challenges I face in life and that these challenges will only lead to more personal development. I had the opportunity to utilize my STEP funds to travel abroad for ten days in Scotland over Spring Break 2019 with the College of Food, Agriculture, and Environmental Sciences. The focus of the trip was Scottish ruminants so I had the opportunity to visit a variety of farms as well as the University of Glasgow, a veterinary school in Scotland and partner of Ohio State. I also had exposure to many cultural sites in my time abroad such as the National Museum of Scotland. I feel like my experience abroad has truly been transformational on several levels. Going into the trip I had numerous misconceptions about Scotland and Scottish history, a distaste for history and politics, and minimal involvement in staying up to date on any sort of news- local, national, or global. My experiences on this trip have cleared up my misconceptions about Scotland as well as actually piqued my interest in history. I am also more interested in politics and try to stay more involved in news. For example, I’m closely following Brexit now. I barely knew what Brexit was going into this trip. This trip has also led me to see the importance of staying politically involved at home, including doing thorough research on issues and candidates before voting. Personally, this trip has made me much more comfortable stepping outside of my comfort zone. Professionally, I have a newfound interest in working with camelids as a veterinarian one day. I also realized that going to Ohio State for veterinary school is the right choice for me (as opposed to attending the University of Glasgow). Lastly, I’ve realized that I’m very interested in studying abroad again, or potentially even working abroad one day. I had the opportunity to visit Edinburgh Castle and the National Museum of Scotland while I was abroad which cleared up some of my misconceptions about Scotland and actually piqued my interest in history. My only perception of Scotland were the scattered clips of Braveheart I had seen. On this trip, I learned that William Wallace, Mel Gibson’s character, was nothing like he was portrayed in the movie. He wasn’t a peasant; he was actually a knight and would have rode into battle with the latest military fashions. The crash course I got on the past 2000 years of Scottish history at the museum was incredible. I learned about everything from currency to Scottish interactions with the Romans and Vikings to the roots of how Scotland joined the UK and why the Scottish people may be bitter about Brexit today. My interactions with the Scottish people helped me become more politically engaged and helped me understand the importance of global politics. I learned about Brexit as well as various Scottish perspectives on the issue from our tour guide at the museum, veterinary professors at the University of Glasgow, and different farmers. As an aspiring veterinarian, I thought politics, especially global politics, were irrelevant to me, but I was so wrong. Brexit will significantly affect farming in the UK which could lead to changes in the current balance of trade in Europe and beyond. I learned that the US is actually facing many similar issues that led to Brexit in the UK such as concerns about immigration and migrant workers. This trip also forced me to step outside of my comfort zone. I climbed to the top of Arthur’s Seat, an extinct volcano and the highest point in Edinburgh. Before this trip, I never would have considered going on more than a relaxing hike. Climbing to the top of Arthur’s Seat was incredibly difficult, but I realized how worth it it was when I saw the view at the top. I also tried haggis while abroad, not once but twice! Haggis is a traditional Scottish dish made of a sheep’s heart, liver, and lungs, usually boiled in the animal’s stomach. It sounds disgusting, and I had always vowed never to try it, but I actually really enjoyed it! Lastly, I had always been rather hesitant to speak to people who weren’t from America. Usually it was just a fear of being misunderstood or not being able to understand the other person. I engaged with several native Scots in my time abroad and was able to learn about everything from Brexit to how my tour guide at the museum ended up working there. This trip has been incredibly transformational on a professional level as well. At Velvet Hall Alpacas, I got to interact with alpacas one-on-one. I’ve never had this opportunity before. Exposure to more species will allow me to be a better vet one day. Everything I learned about alpacas, from social structure of the herd to foot care was fascinating, and the animals themselves had such unique and friendly personalities. I learned that in Scotland, students only get a few days on alpacas in all 5 years of their veterinary program. All of these aspects combined lead to a newfound professional interest in camelids (camels, llamas, alpacas, etc). Speaking of veterinary school, I decided that Ohio State was the best fit for me. I visited the University of Glasgow while abroad, and while it would be an incredible experience, I felt like OSU is a better fit for me. This is mainly due to the lack of full animal dissections, lack of a large animal hospital, and decreased access to the teaching hospital for veterinary students at the University of Glasgow. Lastly, I’m very interested in going abroad again due to this trip. I enjoyed all of the veterinary professionals I met, the food, and the culture in Scotland. On our last night, I went to a pub with some of the other students in my group to watch the Scotland versus England rugby match. The atmosphere was incredible; it was like the Michigan game at OSU. I want to have more experiences being completely immersed in another culture. My newfound interests in history and politics is incredibly important as it is allowing me to grow into a more well-rounded and knowledgeable individual. Having an understanding of how history plays into what is going on now is incredibly important and will help me think more critically about current events and political issues. I plan to do more research on my own time about history now. I realize now that history and politics are actually still very relevant to me as an aspiring veterinarian. By extension, I’ve realized how important it is for me to be a politically active citizen because local, national, and global politics can and will affect me whether I realize it or not. Overall, this trip was an incredible experience that forced me outside of my comfort zone on numerous occasions. As a result, I feel much more at ease trying new activities or foods and talking to new people that I never would have considered before this trip. I also developed an interest in possibly specializing in camelids as a veterinarian. I’d actually like to do a rotation on camelids in my fourth year of veterinary school now. Deciding where to attend veterinary school is also incredibly significant because my time in school will lay the foundation of my entire veterinary career. I’m very interested in going abroad again as well. I’d like to have more exposure to new cultures and experiences. In the near future, I’d like to study abroad in Thailand with the OSU College of Veterinary Medicine to work with elephants. I’d also like to do a rotation abroad during my fourth year of veterinary school. Lastly, I’m even considering moving abroad to practice for some time after college now. My trip abroad was far more transformational than I ever could have imagined going in. It wasn’t one discreet change, but rather, a conglomeration of changes that are still ongoing and may very well shape the course of the rest of my life. I’m so incredibly happy I was able to have this amazing experience. This is a photo of me in the Scottish Highlands, the northern and more mountainous portion of the country. 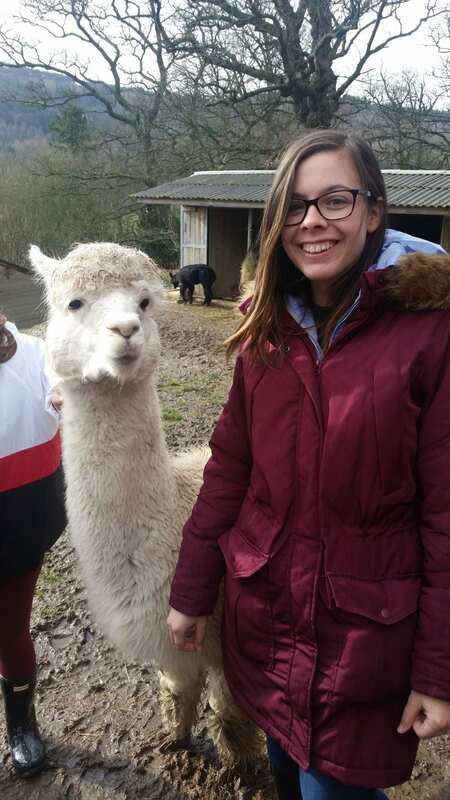 This is a photo of me with one of the alpacas at Velvet Hall! Did you know that alpacas actually have pads on their feet similar to dogs as opposed to hooves? 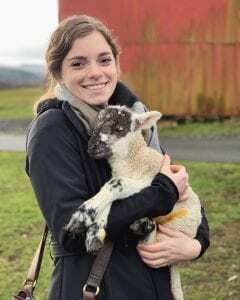 For my STEP Signature Project, I participated in the Small Ruminant Education Abroad program. 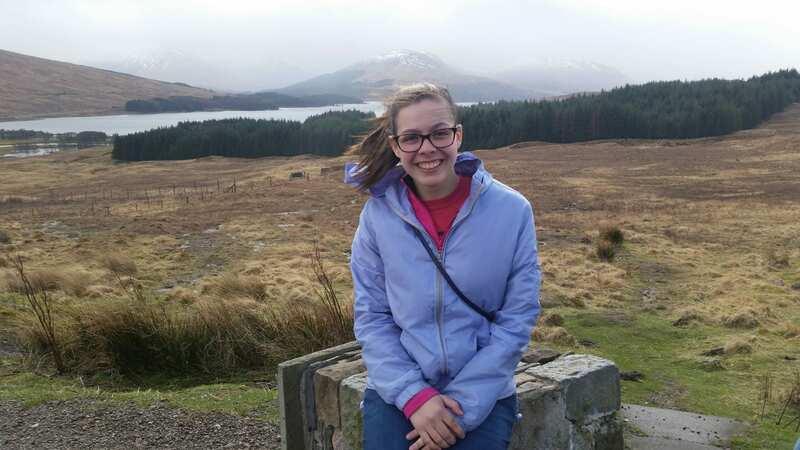 I traveled through Scotland with several other students to several different cities over the course of ten days. This education abroad allowed me to gain an array of knowledge and experience with small ruminant animals and Scottish culture. 1.What about your understanding of yourself, your assumptions, or your view of the world changed/transformed while completing your STEP Signature Project? My STEP Signature Project was the Scotland’s Small Ruminant Education Abroad. Through my STEP Signature Project, I was able to grow personally, gain a greater understanding of Scottish culture, and learn about differences between the animal industry in Scotland and the United States. I know that this experience will help me in the future by instilling acceptance, curiosity, adventure and understanding. 2.What events, interactions, relationships, or activities during your STEP Signature Project led to the change/transformation that you discussed in #2, and how did those affect you? The changes of personal growth, understanding of culture, and recognition of differences between industries was due to the people that I encountered in Scotland and the many activities that I was able to participate in. Not only did I have the opportunity to get to know my fellow students, but people from Scotland who were passionate about their role within the animal industry. 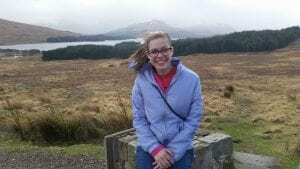 During the Education Abroad program, I was able to explore the cities and rural areas of Scotland. While we stopped at many locations with the group, I felt that I experienced personal growth during free time. 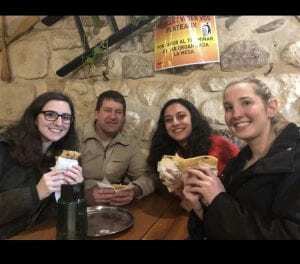 Other students and I often sought out different experiences relating to food and culture. For example, at one point I was able to try the traditional Scottish dish, Haggis. Before traveling to Scotland, I was not familiar with their culture or history. One experience that really taught me of how the Scottish people came to be was a guided tour through the Scottish National Museum. Our tour guide began by talking about how many people (Picts, Irish, Roman, and Vikings) traveled to Scotland and influenced its people, culture, and traditions. Moving towards the present, he explained the relationship that Scotland has with the United Kingdom and European Union. Learning about history and influences on culture allowed me to better understand Scotland as it is presently. Through our visits to many farms and The University of Glasgow School of Veterinary Medicine, I was able to see and understand differences between Scotland and the United States in regard to the animal science industry – specifically small ruminants. While at the University of Glasgow, we were asked to participate in a debate with current veterinary students. This experience led me to realize that Scotland faces many different challenges than the United States with invasive species, spread of disease and weather/climate. However, there are similarities such as a high emphasis on animal welfare. 3.Why is this change/transformation significant or valuable for your life? For this project, I went on an education abroad trip called Scientific Roots in Europe where we traveled to London and Paris for spring break. During the semester, I took a class, and abroad we toured different museums and tourist attractions. Some of the places we visited include the British Museum, Down House, London Eye, Pasteur Museum, El Musse de L’Homme, Eiffel tower, and many more. While in Europe my views of different countries changed. I had never left the country before so, I expected it to be this huge difference but in reality, it really wasn’t that different at first glance. The places had amazing architecture, but also reminded me of New York how the buildings were so close. London was different because it was very clean and you couldn’t find a trash can anywhere, whereas Paris was much dirtier and had a lot of homeless people. Overall, I think this trip showed me that I am capable of exploring new places. This trip helped me come out of my comfort area and made me realize that trying new things isn’t as scary as I thought. What events, interactions, relationships, or activities during your STEP Signature Project led to the change/transformation that you discussed in #2, and how did those affect you? Write three or four paragraphs describing the key aspects of your experiences completing your STEP Signature Project that led to this change/transformations. Being abroad led to my change in beliefs in the way I view foreign countries, as well as my confidence in trying new things. While in Europe, I did not have phone service and had to navigate my way around to different places and had to plan what I was doing each day. I think that it was a very valuable life lesson to use maps and signs to navigate versus just relying on a GPS. One major change was my views of other countries. I thought that I would be in a huge culture shock upon arrival but found that the areas were very touristy and it was very easy to adapt to the new environment. London especially was very easy since they spoke English, Paris was a little bit harder since they did not speak English. Overall, I felt like this trip taught me various life lessons. I feel more culturally aware, and also feel like I can adapt to new situations better. I think that this is an important lessons because if I every move to a new place, I think that I will have the ability to adjust easier from my experience abroad. I think that this trip is valuable to my life because it will help me when adjusting in new environments. My goal is to go to dental school, and I may have to move for that, so I think that spending a week in a foreign country not only proves that I can adjust to new environments, but also helped me in learning new places and talking with different types of people. In addition, I met other science and pre-dental majors in my class that I was able to form unique bonds with while abroad. I was able to connect with my two professors, and various classmates. Since we are at such a large university, it is nice to have a smaller science class. This is helpful if I have classes with them in the future. 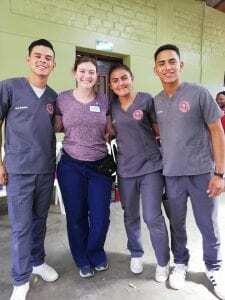 I participated in a hands-on service learning experience during Spring Break 2019 in Choluteca, Honduras. During this trip, other students and I worked in rural villages to provide health education and medical treatment to the community and explored a healthcare system in a low-income area. My role was to translate educational materials before the trip and interpret for the nurse practitioner students on site. This program gave me a different view of both Americans and Hondurans. Before the trip, I knew very little about Central America. I have learned a lot about their culture and value the differences. Yet, although customs and traditions change, we are all just people. The Honduran people were excited to meet us and talk to us, but we were truly there to learn from them. All of the students on the trip (other than me) were nursing, nurse practitioner, or DNP students. They were still learning from the faculty on the trip, but also learning culture humility through interactions with patients from different cultures than their own. Through my interpreting, I was able to facilitate that connection. On my end, my language skills improved and I became more and more confident of my own abilities. Additionally, my view of Americans changed. I think that the U.S. has a culture that is very focused on itself. In Honduras, there is world news on every television, and they are more excited to involve themselves in a different culture. For example, a lot of the Honduran students watched American television, yet we as Americans rarely engage in pop culture in other languages. Also, with Americans, there is an attitude that when we lead these missions, that we as the Americans are bringing our resources to help the “less-fortunate”. This is incredibly wrong and I have seen first-hand why this is wrong. These communities are not “less-fortunate” and they don’t need our charity. They are people who have developed communities that look different from ours. Americans are taught to take a very ethnocentric view, that everything should be judged off our culture. It is an attitude change that needs to be made to accept the Honduran culture as different but equal. For the items that we bring, yes, they might be able to be used, but those things will be used up quickly. The most meaningful thing that we can bring is education and a willingness to learn. My view of myself also changed. I have always had a confidence problem when speaking Spanish. I sometimes would rather not say anything than make a mistake. This experience took me out of my comfort zone and built up my confidence in the skills that I already had. The other thing I learned about myself was that I love teaching. I have enjoyed tutoring in the past and always enjoy public speaking, but this was a really great opportunity to stand in front of a group and teach. I love making connections as I am teaching, and making the material engaging so that the students will absorb the information and remember it. This was an even more difficult task in Spanish, but I think the students really appreciated it. There were a few situations where I really learned a lot about the world. I think that a lot of times we go into a country thinking they’re “third world” and that we have more knowledge than they do. At the hospitals at Ohio State, there is better technology than the hospitals in Choluteca, but it is because of a difference in resources/access to resources, rather than intelligence. Ingenuity was the word that stood out to me. At the public hospital in Choluteca, there were all sorts of ingenuous ideas to make up for the lack of resources. In my mind, it was more impressive that someone built a wheelchair from a lawn chair and bike tires, than anyone buying a mass-produced wheelchair. So yes, we taught about health education to the communities, but this is something that can be done in the US. It was more important for me to admire their creativity and learn critical thinking from them. A situation that helped me with my language skills was working with an interpreter from Honduras. This interpreter was an 18-year-old kid who had learned English through school, watching TV, and social media. He and I conversed in Spanglish and I was able to ask him many questions about the specific dialect in Choluteca and words that I didn’t know. In return, he asked me questions about American English. Through this collaboration, we both learned a significant amount about the other language and became good friends. I find that when I am using Spanish, I sometimes can’t articulate the nuance of my personality and sense of humor. He helped me be confident enough to make jokes and converse with anyone around me. Lastly, like I said in the previous question, I was given the opportunity to teach. In Choluteca, there is a nursing high school that was on the property where we stayed. These students were in 10th, 11th, and 12th grade. I translated materials beforehand, such as presentations and posters about different health topics, but I got to teach CPR and suturing to the students on site. I didn’t have all of the words, and had to act out many things, but the students really appreciated that I knew Spanish. They couldn’t joke around with the other members of my team or talk about life, but with me, they were truly able to make connections. The best part of teaching was when I was able to watch my students teach other students. We went to another high school and the nursing students taught those students how to do CPR. My students enthusiastically spread the information that I had taught them. This really confirmed my idea that education is the most valuable resource that we can bring. These experiences are valuable for my academic, personal, and professional goals. Academically, I was able to practice my Spanish and greatly improve my confidence and vocabulary. This will be useful as I finish my last year of my Spanish major. My professional goals are to go to medical school and be a physician with a diverse patient population. The experience of watching healthcare interactions in a different culture will help me understand how to connect with my patients from different cultures. 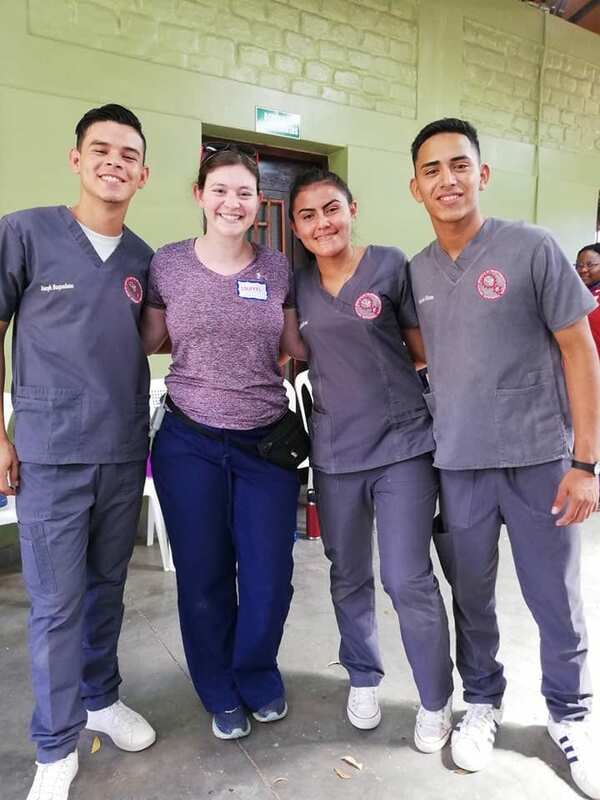 Yes, I learned a lot about Honduran culture, but I also learned how to approach a culture that is different than my own, medically and personally, with dignity and an open-mind. Finally, a personal goal of mine is to be more culturally aware and put myself in others’ shoes. I truly believe that everyone should learn another language and spend time in a community other than one’s own. The vulnerability that I feel, the lack of confidence I experience, and the way I question my own intelligence, shows me some of the challenges that immigrants face in the US. These experiences have made me an empathetic person and I will use this in my career. For my STEP Signature Project, I traveled to Switzerland with the Ohio State College of Pharmacy on their International Healthcare Experience in Pharmacy trip over Spring Break. We traveled to seven different cities throughout the country, visiting sites and participating in activities related to the pharmaceutical industry along the way. 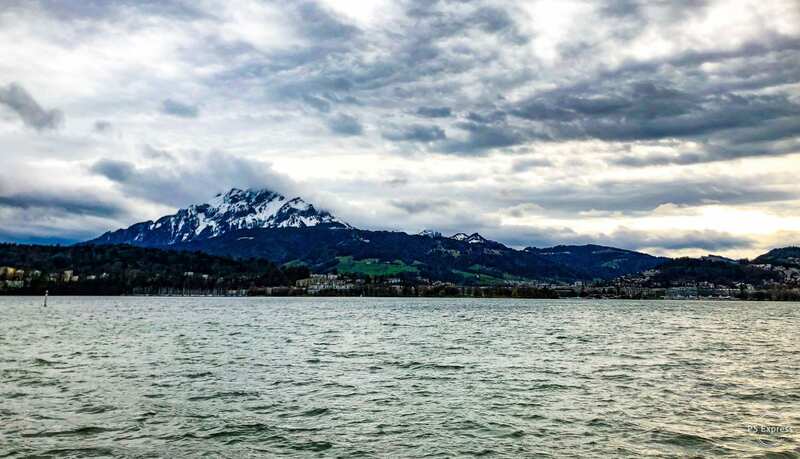 These included the presentations at the World Health Organization, a conference with pharmacy professors and students at the University of Basel, a tour of Novartis International, and an overview of the community pharmacy system of Zurich. This trip was transformative to me in just about every way imaginable. It tested my limits and confidence while teaching me new things about my future profession, and made me more aware of the similarities/differences of the United States and Europe. This was my first time ever leaving the country. As my first time abroad, I hadn’t the slightest idea of what to expect from this trip. I took it upon myself to learn elementary conversational Swiss, and while it turned out that most of the country learns to speak fluent English by the age of four, I am still glad that I did so. We spent a good portion of our time wandering the cities and speaking with the locals, and I am immensely glad that I was able to immerse myself in their world as much as they allowed me to, for it truly had an impact on me. I became more aware of my body language and how I presented myself to others, learning that the Swiss love eye contact and hate small talk. My confidence in myself grew as I was able to help a small group of us make the journey to a remote mountain town, complex transportation and all. My time surrounded by the healthcare system of Switzerland made me draw comparisons with our own, and helped me form solutions to problems we face based on their example. My view of the world, the scope of healthcare, and of myself all changed for the better because of this trip, and for that I could not be more thankful. There were many components of the trip that led to these transformations. First was my interaction with individuals from the area. I was able to get together with a friend that participated in a foreign exchange program my senior year of high school, and she showed me her favorite places to eat, hang out, etc. 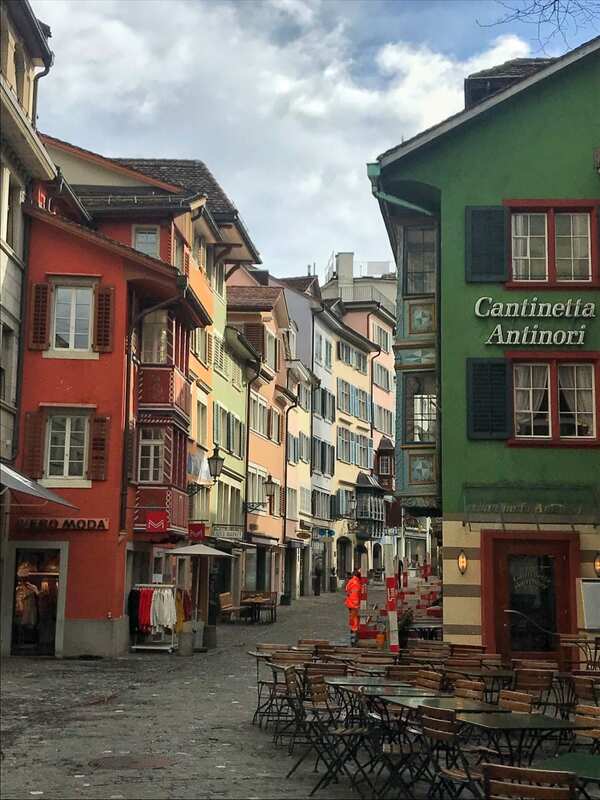 Seeing the city of Basel from her point of view made everything more exciting, as she incorporated backstories and the history of the town at each stop. Meeting her friends proved to be as exciting and entertaining as it sounds, and it felt great to be so immersed in their lives, even if it was just for a short few days. The group also took us along to the celebration of the last night of Fasnacht. We saw the parades, were attacked with confetti by masked participants, and partook in all of the festivities that came with saying goodbye to the “best three days of the year.” I felt that this way a key experience as we met more of their friends that were actually in the parade, and visited the exclusive underground locations that served as practice areas for 362 days of the year, then transformed into makeshift bars to fundraise for each individual group. 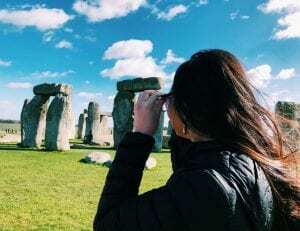 I feel that I was able to see a major tourist attraction in a way that hardly any tourists have, and for that I think it was something special. Of course, the reason I went on the trip was highly rewarding as well. The sites that we visited will stick with me far beyond my years in school. Being able to hear firsthand from leaders in the field had a major impact on my professional views. As I mentioned earlier, I was able to draw comparisons with the U.S. and Switzerland, and I strongly feel that we can learn from each other. I spoke with students from the University of Basel College of Pharmacy one-on-one, and while they were astounded by our interactions with students in different areas of medicine (they do not even take pre-requisites out of their pharmacy group), I was shocked at their exposure to the field long before graduation. I have examples such as this for every site we visited, for each one possessed its own eye-opening revelations. Overall, the trip resulted in my love for my major and my future career to grow, and I am so grateful that I had the opportunity to participate. The transformations that resulted from this trip will carry on for the rest of my life. My confidence in my ability to do things independently has skyrocketed, and I look forward to relying more on my own competence rather than seeking help from others. 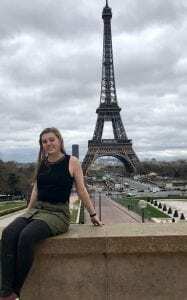 My initial culture shock gave way to a newfound appreciation for our differences, and I will be sure to keep what I learned about residents of Europe in mind should I find myself responsible for their treatment in the future. This trip combined travel and an opportunity to further my education in an alternative way, and I will forever be grateful for both the College of Pharmacy and STEP for allowing me the chance to transform myself in this way. I completed the Scientific Roots in Europe for my STEP signature project. This education abroad program took place in London and Paris where we discussed various paradigm shifts and visited different museums that recognize innovations in various fields of science with a focus in Biology. I had been abroad to Costa Rica right before coming to OSU and had an idea of how different life can be abroad. However, I was always in areas that were heavily tourist driven. So, when I was getting ready to head to London and Paris, I was expecting to not have a true understanding of how life actually was in those countries. After spending a few hours in London, I had already seen how different and also similar it is to life in America. I started to notice how much more science and knowledge in general is appreciated abroad compared to where I grew up in the States. It made me feel really gracious that I had the opportunity to get to go on this trip and the true impact that the scientists in those countries have had on the world. When we were abroad, we had visited multiple museums and historical sites. The focus of the program that I was a part of was on scientific achievements that lead to paradigm shifts. One of the first places we visited was Charles Darwin’s house and hometown, Downe. I really enjoyed this experience because it was nice to see the country side of England and how influential Darwin was in this little town. The Darwin house was still open and running as a museum but I had already noticed that the museum experience was completely different in London than in the States. The museum was self guided and much like a walk through to were visitors could spend the amount of time they needed to spend with each exhibit. Also, there were multiple museums who offered audio guides at little to no cost. It really surprised me because the museums in America are usually guided or more focused on keeping guests interested than the actual information itself. I also found it interesting how much information was included in the exhibits. I could easily spend an hour in each of the ten rooms just looking at the exhibit and read everything they had available. I started to notice just how many more museums an history there was in both cities. Paris, although more art driven, had a museum on nearly every corner. Being close to Notre Dame, we could easily walk to the Cathedral and get onto the metro to go just about anywhere. 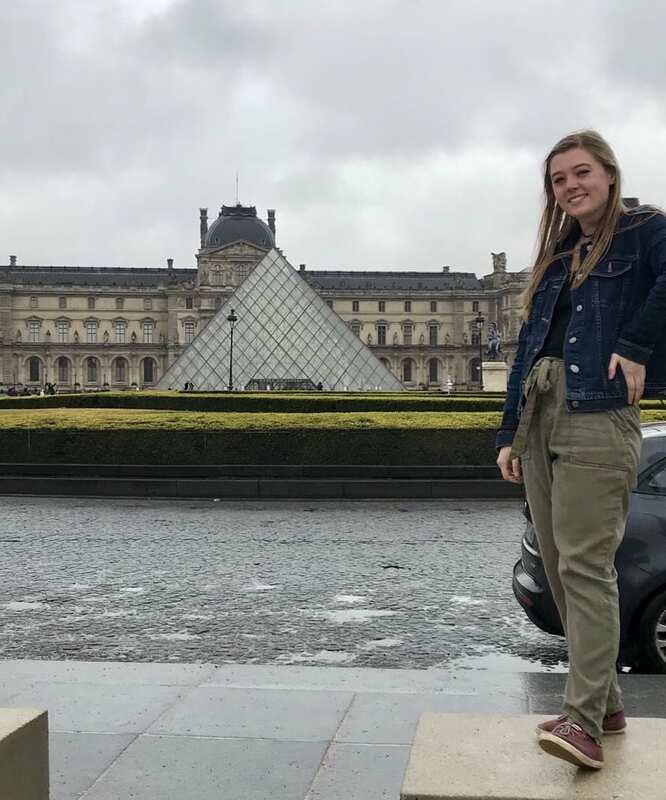 I was able to get to experience the Louvre, which was one of my favorite museums to see in Paris. The size of the museum itself was just absolutely insane. It took me about an hour just to find the Mona Lisa. However, once I got back it hit me just how much history and appreciation I had to get to be there and see the art most just get to read and see pictures. This change was significant for me because it made me appreciate the experiences and opportunities I have had. I have always believed that education is very important but being able to tie that education to the real world was a step I had never really taken. It’s like reading a fiction book and then realizing that it was actually nonfiction. Just being in the city and getting to see the places where history was made that completely changed the way a certain field is today will stay with me for life and influence how I look at my experiences in the future. 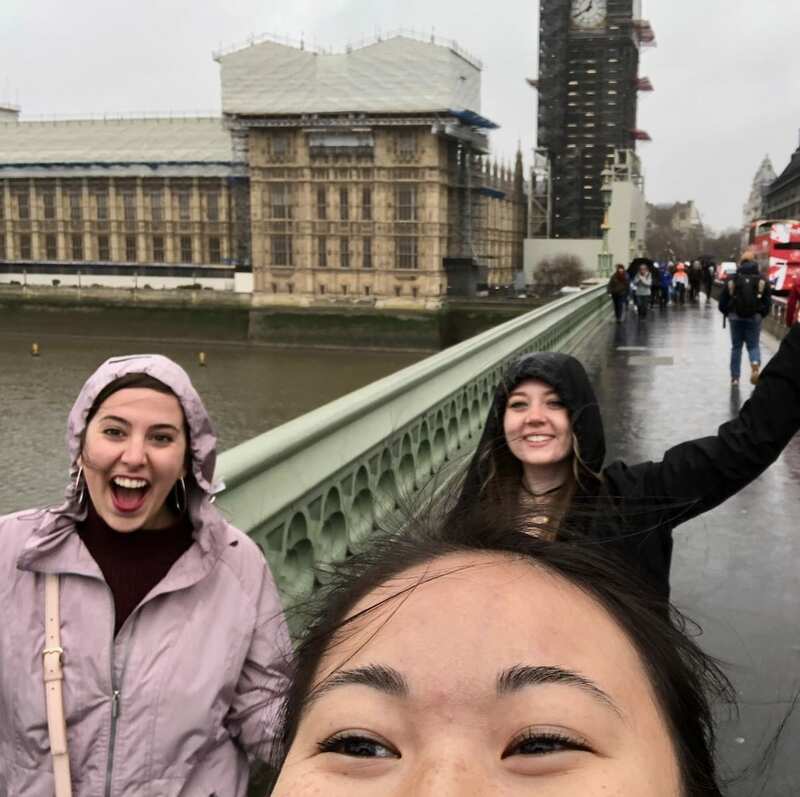 Over this past spring break of 2019, I took part in the study abroad program “Biology 4798: Scientific Roots in Europe” through the Office of International Affairs. This program involves a 3-credit hour spring semester course that meets for 80 minutes on Tuesday and Thursday, inviting various guest speakers to speak about their fields of interest and how it relates to historical discoveries and figures that contributed to science. Through this program, I have been able to expand my knowledge on the history of scientific discoveries beyond what has been taught in my core science courses. While completing my STEP project, I think my views on the world and how different cultures are were transformed. It was amazing to see both the British and French culture and customs over the span of one week, and be able to compare them with each other as well as the American culture and customs. While they are pretty different compared to the American culture, they were not as different as I expected them to be. Both London and Paris are very tourist-heavy areas, so I was able to get around everywhere by speaking English. However, as we entered the outskirts of Paris, that English-speaking population started to diminish. I was also surprised by how easy it was travel within both London and Paris. Both have a metro system, which I was afraid I would not be able to figure out, nonetheless the map all in French in Paris. However, the process was very easy to learn, and I was so excited to have learned how to work both metros. This program was also socially expanding as I got to know my fellow classmates better with the smaller class scale setting, as well as my two professors, Dr. Cogan and Dr. Breitenberger. I also gained connections to all the professors from OSU that come to our classes as guest speakers, expanding my social network in the science departments of OSU. We have had speakers from many departments of OSU, from the physics department to the geology department. Our class involves a talk, ending with questions, making this class very interactive with our guest speakers. During the trip, we visited many museums and historical sites that transformed the way I viewed science. Some incredible discoveries were made on the spots on which we stood, and it made me realize how incredible those scientists were able to make their discoveries despite the lack of resources or materials they had available. It also made me more grateful for the technology we have today. One key part of the trip was the tour of the Darwin house. This was the house in which Charles Darwin and his family resided, and their yard included their family’s grave, minus Charles’ grave which is located in Westminster Abbey. It was incredible to imagine the lifestyle of a man whose discoveries transformed science tremendously to this day. We got to see the room in which he wrote his famous Origin of Species, and the books and notes he used. Another key part was the Louis Pasteur Institute, where we were able to see Pasteur’s home and labs he used to discover the principles of vaccination and pasteurization. I also was able to engage in some conversations with students in Paris that were my age. I learned about how in Paris, students don’t typically attend an undergraduate university for four years, but instead attend the professional school for the occupation they want to go into. For example, one could graduate high school and go directly to medical school. It makes me wonder how efficient and worthwhile the American education system is, because oftentimes people graduate with a degree that they may not even use in the career they end up with. Outside of the scientific portion of this course, I went and saw the play Mousetrap in London. This was the oldest running show on the British version of Broadway, and I really enjoyed it. I haven’t seen too many plays in the US, but with the ones I have seen I can say that it was executed just as well. Mousetrap was a murder mystery, and this play was unique in which the ending is supposed to be kept secret from the general public as well. This program is in concert with my aspirations, talents, and passions as I have always been intrigued in the evolution of science. Centuries ago, people thought the world was flat. With the major technological advancements, I find it fascinating to see how far we have come throughout the most recent centuries and even decades with technology and science. And with that being said, this course gives me a great opportunity to learn about the timeline of these scientific developments through major groundbreaking scientific discoveries in the last century. 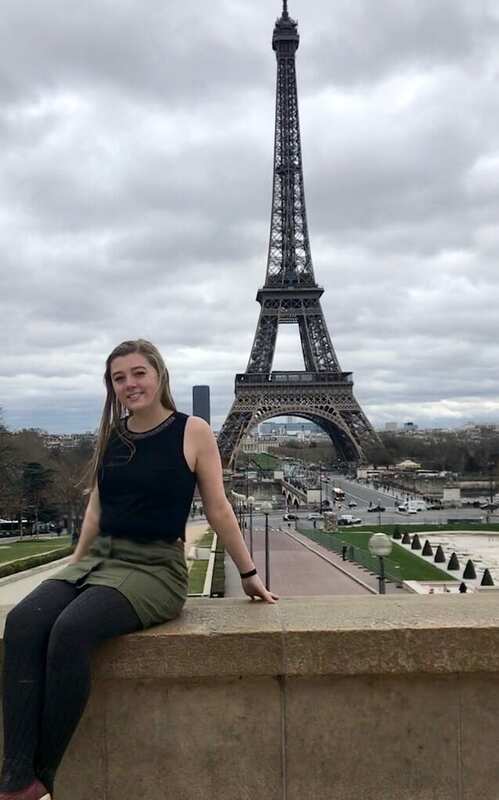 My step project included traveling to London and Paris through a study abroad program called Scientific Roots in Europe. During this time we were able to tour various scientific sites in Europe and see the city. During my step project, I learned how to be more independent and travel abroad by myself. Before my project, I was relatively independent. However, after my experience, I was able to learn how to navigate the underground subways in both London and Paris and not get lost in order to get from place to place. I assumed everything would be exactly out of a post card. Instead it was very different from what I experienced. Every moment I spent was unexpected and completely worth it. 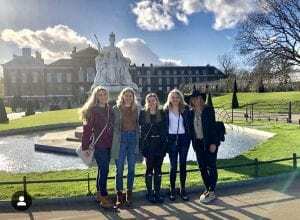 The places we visited allowed for once in a lifetime experiences such as Stonehenge, Kensington Palace, the Louvre, etc. I noticed this change when I returned and realized how much I had gained from my experiences in Europe. During my time in Europe, we began by touring various museums in London such as the British Museum, the London eye, the scientific royal society, etc. 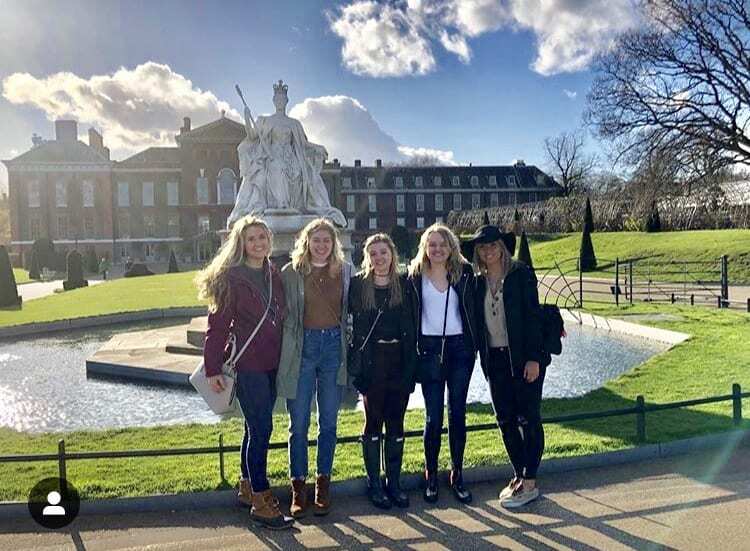 We then were able to take time on our own to explore the city and see other places we were interested like Kensington palace, Stonehenge, etc. We later were able to travel to Paris and see the Eiffel tower, the Arc De Triumph, the Louvre, etc. While abroad, I became very close with the people in my group and had an amazing time with them. This led to my transformation through giving me the opportunity to get lost in a foreign city and become more independent. Before my step project, I never thought that I would go abroad let alone to London and Paris. These two cities had always been on my list of where I wanted to go. I am so thankful for the opportunity step has given me to travel abroad. Without my step project, I would have never had the opportunity to see a different culture and learn more about other cities. Other key experiences that I was able to have was the amazing opportunity to see where various scientists lived and worked. This was inspiring as a science major after learning about these people since high school and finally being able to see their houses/ labs and walk the paths they walked. I hope to one day return to these cities and see them once again. This transformation was significant in my life by showing me other cultures and helping me become more independent. Because I am interested in going to medical school, I did not think I would have time to go on a study abroad. However, this project has forever impacted my life and has given me the opportunity to see Europe. Seeing various scientist’s homes/ labs was incredible and has been valuable to my career in science. My STEP Signature Project was called Scientific Roots in Europe. 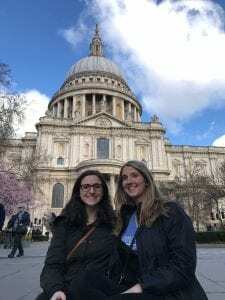 We traveled to both London and Paris for a few days each and went to several museums relating to the history behind science and scientific discoveries. We had to keep a travel journal and reflect on the museums and sights that we saw abroad. One change or transformation that occurred because of this trip was probably how I viewed the places that I had been. 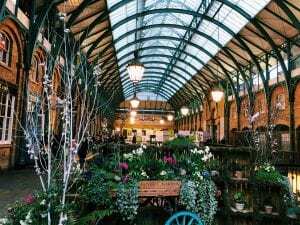 Before traveling to London and Paris, I had preconceived ideas of what it was going to be like from television or other people who had visited there. 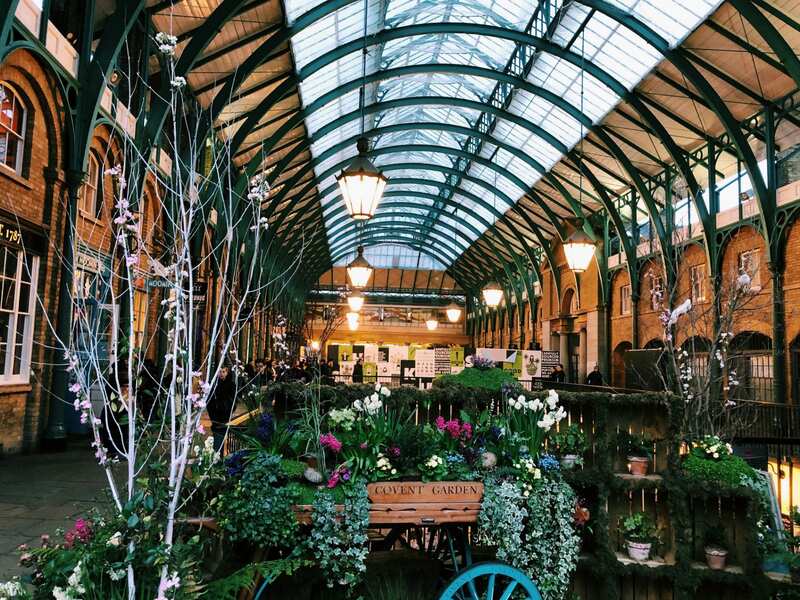 I had this idea that London was a very old, rustic, yet beautiful place and Paris was a romantic, breathtaking place. This was true of both places, but they were also very different from how I imagined. I think the transformation occurred when I realized that what you see in movies and what people tell you is a very tainted idea of what it is really like when you get there. I think that this helped me learn that I shouldn’t really have expectations of a place before I travel there because I played into how I felt when I got there and left me a little disappointed. The first thing that led to this transformation was specifically seeing the major landmark tourist sites in each of these places. For example, the Eiffel Tower in Paris. Growing up, I had always been completely fascinated by the Eiffel Tower and had waited my whole life to see it, but upon seeing it, it was a little less exciting than I had imagined it to be. I think this plays into the idea that when you come with huge expectations, sometimes it may not live up to it. I found that the places I had never heard of before, or things that I ran into along the way seemed to be more beautiful and unique to me than some of the huge tourist sites. Another thing that aided in this transformation was that when you see these countries in movies and on television, you never really know the little things about it. For example, that most of the time in these countries you have to pay to use public restrooms. I never knew this before going there and it changed my view a little because this was something I had to adjust to and something that we often take advantage of having in the U.S. This was not something I would have imagined for these places so again my expectations were wrong. Before getting to Paris, I had imagined it being a romantic and beautiful place, which it was. The views were breathtaking, the music was beautiful and the food was fantastic, but there was one thing that was not made clear to me by the movies and shows. Paris, although extremely beautiful is kind of like New York City in the aspect that it is somewhat dirty. Not necessarily dirty, but just trash thrown around, a lot of graffiti and destruction. This was not what I was expecting, but it was foolish of me not to imagine that because this is just like any city. Overall, I just realized that the places that I had imagined my whole life were not exactly like I would have expected, and this made it even more interesting and beautiful in my opinion. I am going to continue to try and have no expectations for further travels so that I can keep an open mind and take in the culture as it comes. I think that this change is an important thing to realize in life because it is kind of a metaphor for life itself. Life is not always going to be easy and what is thrown at you is not always going to be what you expect. If I try to not have overly high expectations than I will not be as disappointed when things don’t go exactly my way in life and I will be able to just readjust and learn from what happened. Every experience in life is a learning experience and I am thankful that I got to go on this trip and have a learning experience that most people can’t have in their life time. I am very thankful for the opportunity that I had because of STEP.